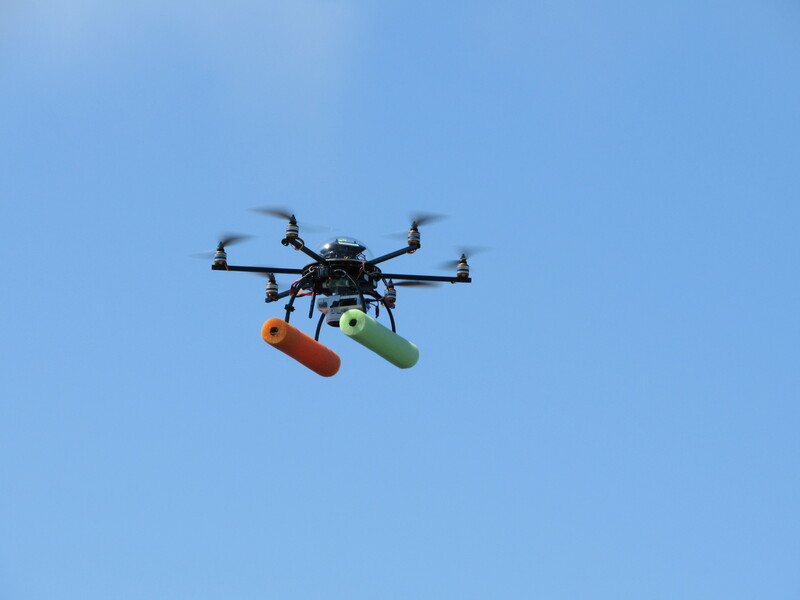 Over the past few days, a new technology was brought to the Coastal Pelagic Species Survey: the Unmanned Aircraft Systems (UAS). For NOAA, the drones are a new way to obtain unique views of wildlife and beautiful landscapes. UAS also offers an innovative method for scientific researchers to obtain important information about marine mammals. This data will provide data that can further support the conservation of these protected species. 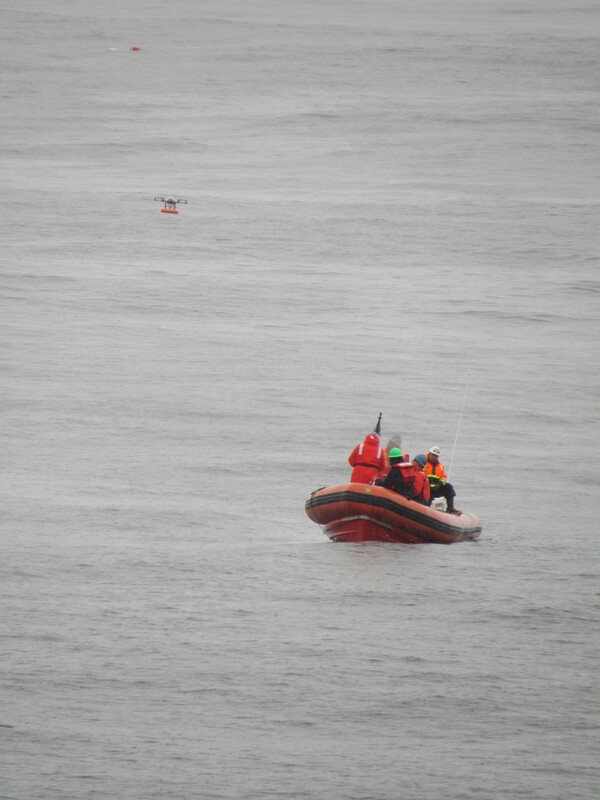 The drone being launched from a small boat in rainy weather. 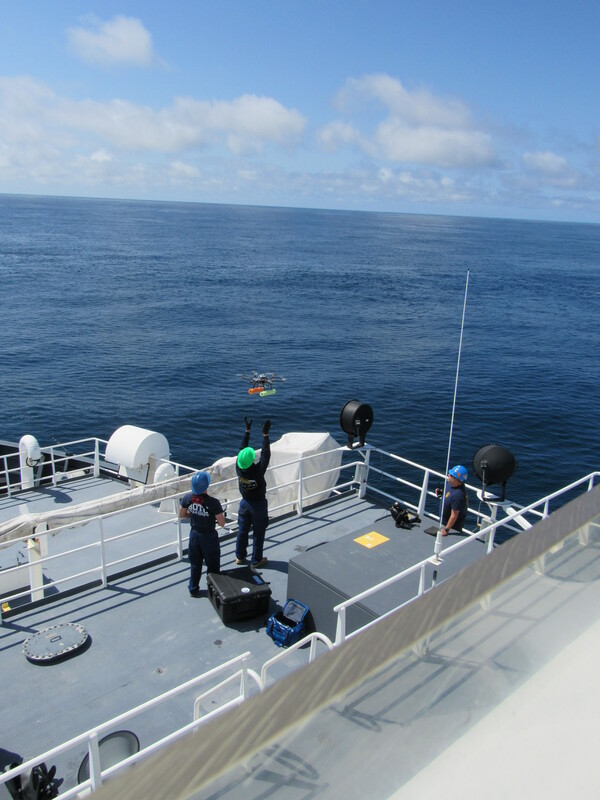 On the Reuben Lasker, they are testing to see how the drones can be used to support the Coastal Pelagic Species Survey. On board for this leg is Jake Barbaro, a NOAA UAS pilot. Jake’s background is in fisheries biology (focusing on plankton) and he is now a member of the NOAA Corps. Normally, the UAS is used to watch dolphins, whales, and other marine mammals, but it may provide a way to gain information about coastal pelagic species. It should allow the NOAA research to collect data closer to the shoreline. I had the opportunity to watch a couple missions using the UAS drone. To fly, the conditions have to be just right, which can be challenging during spring in the Pacific. We had several days where the wind was too high or there was too much fog to allow the drone to take off. The UAS being launched directly from the ship. The first test was taking a small boat about 1 mile from the Reuben Lasker and launching the drone into the air. They were able to complete one flight, but the rain prevented a second one. They have a limited battery life so they cannot waste time. The second mission was on a much nicer day and they launched the drone from the forward deck. These two missions went off very well. The drone lifted to about 400 feet above the ship, taking pictures and they came to land smoothly back on the deck. Yesterday, they were able to take the drone out on a small boat and complete two flights with the drone. One was right above the Reuben Lasker and the other was closer to the shore. If conditions are right, they would like to do one more mission. It was very impressive. It will be interesting to see how they will use this technology to support the Coastal Pelagic Species Survey. The Reuben Lasker from about 400 feet in the air. It is about time. I have been seeing pyrosomes in my sleep, but tonight we did not see many pyrosomes. I had a feeling it was going to be a good night. The sunset was beautiful and I saw the best star display while I was on mammal watch. Thirty minutes before every trawl, a couple of the science team goes up to the bridge to watch for marine mammals. I have not seen any (partly because it is so dark). They keep the bridge dark, illuminating things with only red light, so that they can have the best visibility into the dark ocean. The night was dark, so you could see so many stars….just beautiful. In our first trawl, most of our catch were market squid. 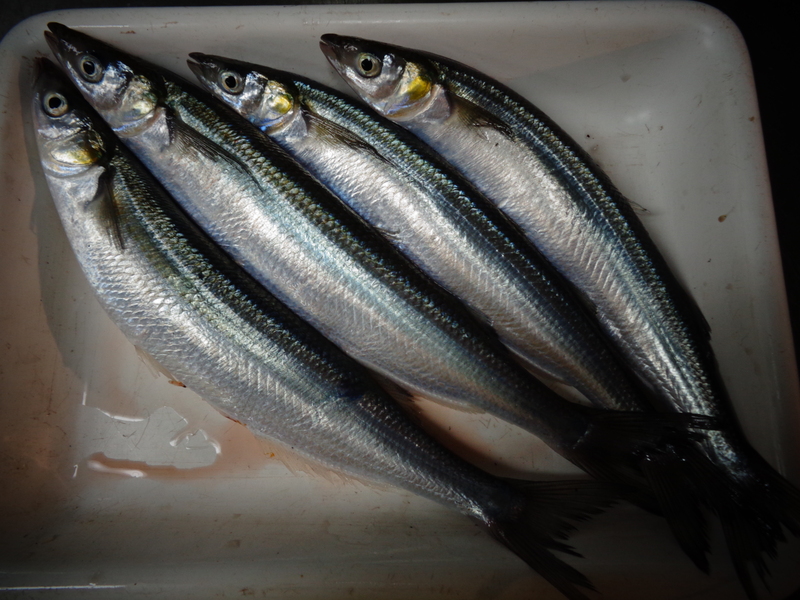 In our second trawl near the Farallon Islands, we caught 5 jacksmelt and market squid. It was great to see something more than pyrosomes. I have enjoyed getting to know the science team and other volunteers. It is interesting to hear their stories and how they started working at NOAA. Some people work 6 pm to 6 am, some work 12 pm to 12 am, and some work 12 am to 12 pm. I have had the opportunity to get to know all of them and each of them have a unique story about how and why they are here. They have all be very friendly and welcoming to me. I have discovered that there are so many different careers out there and so many different pathways to get to those careers. It is clear to me that these individuals love their job and the ocean. They may go “to sea” a couple times a year, but the rest of their time is in the lab in San Diego where they sort and classify the collections or work with the data. Some of them have quite a lot of experience at sea. I am glad that they have allowed me to tag along. 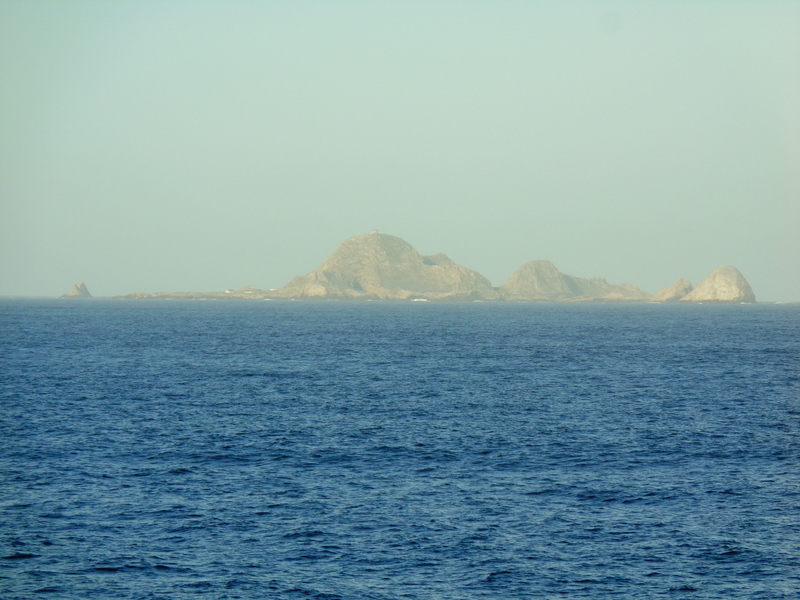 The Farallon Islands are a breeding ground for Great White Sharks because of the large elephant seal population. The male sharks return to the islands every year, but the larger females visit every other year. Unfortunately (or fortunately) we did not see any Great White Sharks since they breed in the fall. Although, I did make the comment that we may need a bigger boat. I am sure they haven’t heard that joke before. 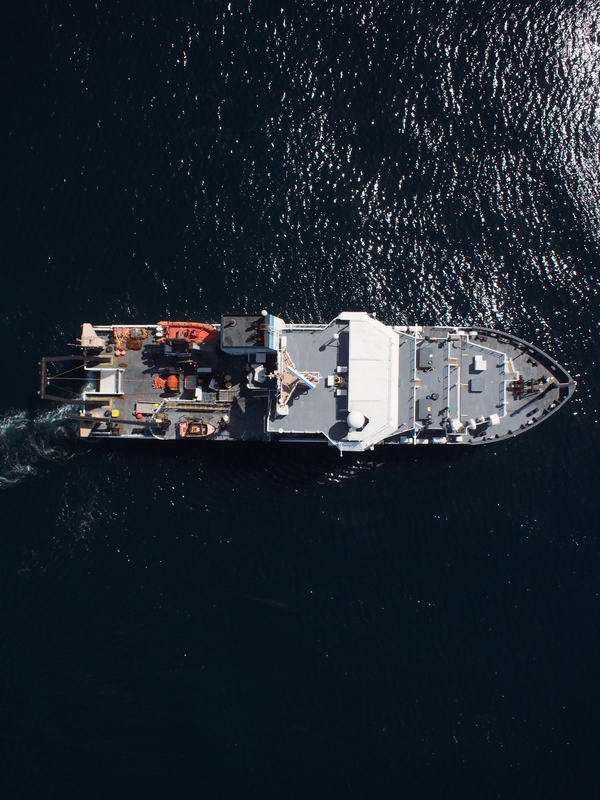 This entry was posted in 2017, Mark Wolfgang, NOAA Teacher at Sea and tagged drone, Farallon Islands, NOAA Ship Reuben Lasker, technology, UAS, unmanned aerial system. Bookmark the permalink.